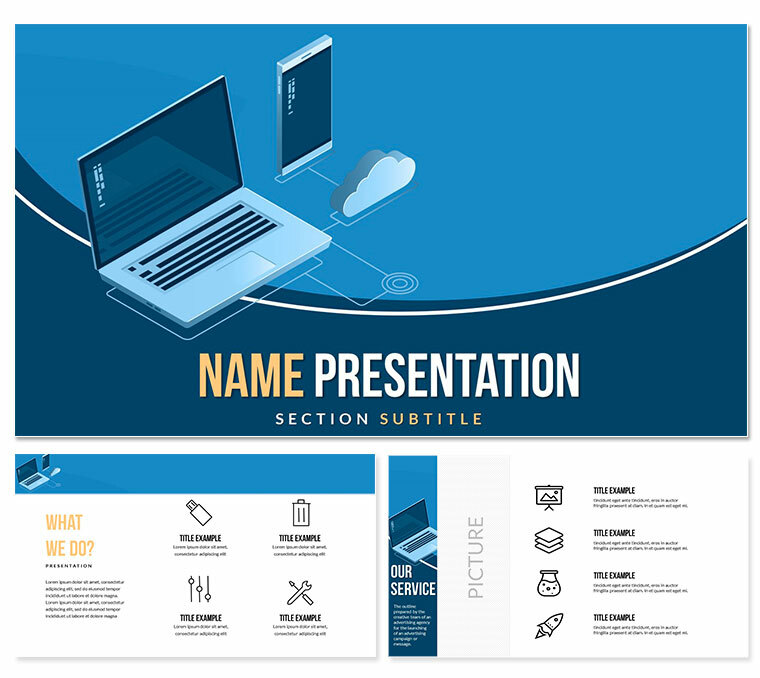 Computer Cloud Companies PowerPoint templates with thematic background and themes (slides and formatted text). The blue background of the template depicts illustrations of computers that are connected to the network. Ready-to-use Computer Cloud Companies template will help you quickly and professionally arrange an existing one or create a new presentation.